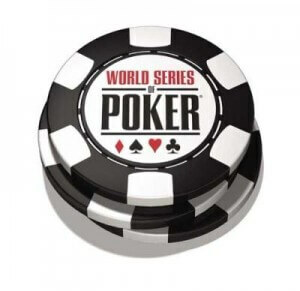 The 2013 World Series of Poker (WSOP) schedule was released today (Feb 14th 2013) by Caesars Interactive Entertainment. This is the 44th annual WSOP series and the action will all be hosted at the Rio Hotel & Casino in Las Vegas. This year there are 62 bracelet events on the schedule, which is one more than last year. The action begins on May 29th 2013 and with 62 events plus all of the non-stop cash games there will be plenty of action right up until the main event on July 6th 2013. WSOP executives expect this year to be the biggest year in history. Last year was the best year for the World Series of Poker and a total of 74,766 players competed in the events with over $222M+ up for grabs in prize money throughout the 61 events. Caesars has brought back basically every event from last year and even added a new bracelet event. Event #6 is new in 2013 and is a $1500 NL Holdem tournament called the “Millionaire Moneymaker” because the winner will win $1M guaranteed. Event #6A is on June 1st 2013 at 11AM. If you get knocked out early in Event #6A you’re allowed to re-enter in Event #6B for $1500 when it starts at 5PM on the same day. For $1500 this event will draw a huge playing field trying to win the $1M 1st place prize. The $50K Poker Players Championship will begin on June 30th this year and will run for 5 days. After the 2013 PPC the ME will be starting shortly after on July 6th although you can wait and buy-in to the main event on Day 1B (July 7th) or Day 1C (July 8th). Other popular tournament formats from last year are back including the Mixed Max NL Holdem (Event #27) and the Ante Only NL Holdem (Event #45) among others. The popular $10K NL Holdem Heads-Up tournament is Event #16 (June 7th). The $1K Seniors NL Holdem Championship (Event #26) and the $1K Ladies NL Holdem Championship are back. There is a new rule this year that requires men who enter the Ladies Championship to pay a buy-in of $10K rather than $1K. Two other affordable events that should be fun for everyone are the big mixed tournaments. The $2.5K 8-Game Mix (Event #8) and the $2.5K 10-Game Mix (Event #50) are two events that will test your ability in many different poker variations. The WSOP charity sponsor (ONE DROP Foundation) will be back this year as well. The Little One for One Drop NL Holdem event (#58A & #58B) has an $1111 buy-in with unlimited re-buys for the first four levels. $111 of the prize is donated to the charity. There is something for everyone at the 2013 World Series of Poker and it should be a blast for anyone heading to Vegas. You can read the entire 2013 WSOP schedule on the WSOP site (Here). It includes a list of every event along with other information.